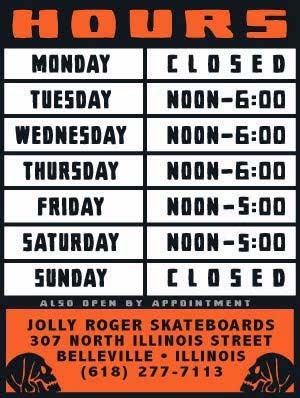 Jolly Roger Skateboards: Jolly Roger Just Turned 5 Years Old Today! 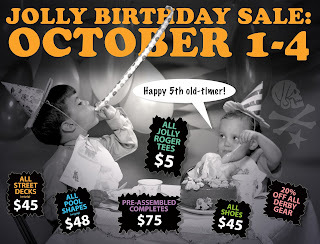 Jolly Roger Just Turned 5 Years Old Today! Thanks to all of our super supportive customers out there JOLLY ROGER SKATEBOARDS turns 5 YEARS OLD today! From now until Sunday, October 4th come in and take advantage of some of these deals.